Befriending Murphy | Just another day. 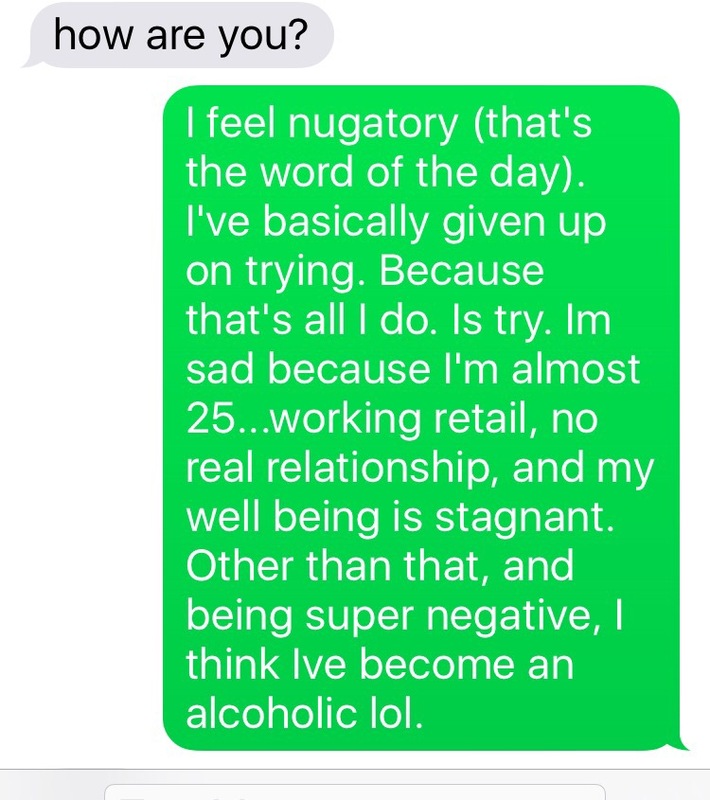 Just another existential crisis. My little brother found this in my memory box. I guess you can say that I have not changed. I recently read an article about things retailers don’t tell you. I’ve worked in retail, so I thought I would know everything on that list. Turns out, there are some things I didn’t know. Okay maybe not some things, just one thing that I did not know. That is that the cameras in the store can recognize your face. Once recognized, it keeps track of how much you purchase in the store, how many times you visit, etc. This got me scared. Honestly, I don’t want people to know my shopping habits. Especially in Sephora. Sephora is the place where I try to score free samples, err I mean, get samples of things I want to try out. Because seriously, who has the time and money to go out and buy every new thing and try them out, only in the end to possibly return those items because they break you out, or it smells weird, but then you get super lazy to go back to the store to actually return the items, and then they just sit in your bathroom, untouched? It’s like free money you can’t have. However, if I were to be completely honest, I don’t always get samples of things that are new. I usually get samples of things I have tried before and know that I love, because I don’t feel like paying for that whole bottle of face wash for $25. 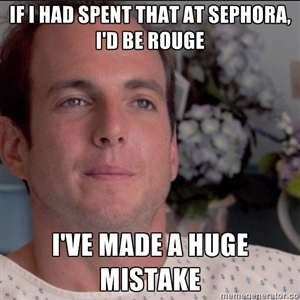 When I go to Sephora, I have to be strategic. I have to space out my visits, and make sure I ask for samples from workers who don’t remember me, or who have never seen me before. Occasionally I buy the $12 moisturizer (which is amazing and THAT is totally worth my money!) so that no one gets suspicious. But no matter how sneaky I think I’m being, after reading that article about the cameras, I am positive everyone in that store (and at both locations) knows who I am. I bet they have a picture of my face in their break room that reads, “Watch out for the free sampler girl. Contact your MOD if you see her.” So whenever I walk into a Sephora and the workers smile at me and say “hello,” I don’t know if it’s because they have good customer service skills, or they’re simply letting me know that they know who I am, that they know what my intentions are, and that they’ve got their eyes on me.